The script was written for Renato Sanches in Lisbon on Wednesday night. Back where it all began, at boyhood club Benfica, Bayern Munich's forgotten man did not disappoint. A Herculean display - the likes of which made the football world stand up and take note of the Portugal international at UEFA Euro 2016 - was capped by his first Bayern goal since joining the club from Benfica over two years ago. He was even treated to a standing ovation. 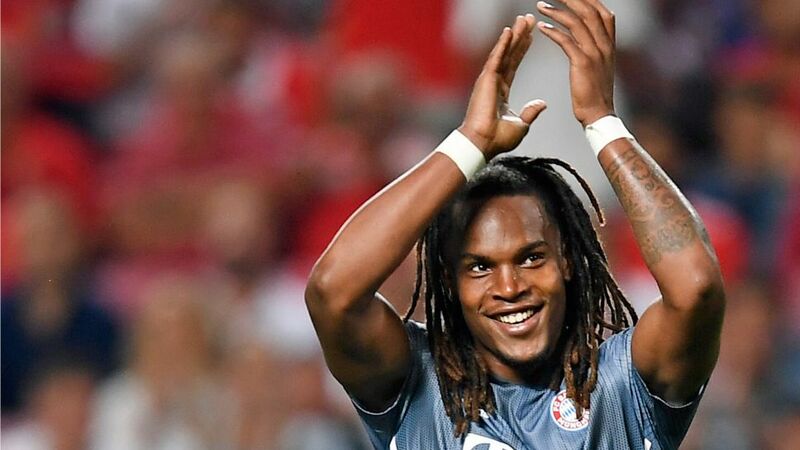 "I'm so happy that I'm able to experience an evening like this in Lisbon and I'd like to thank the Benfica fans [for their applause after my goal]," 21-year-old Sanches said after making his first competitive start of the season - and first in a Bayern shirt in 16 months. "It was a very special moment for me and I enjoyed it very much." It is a moment that even Sanches might have thought would never come. What should have been the career platform to world football stardom when he joined Bayern from Benfica, fresh from winning Euro 2016 with Portugal and being named the tournament’s Best Young Player, had the opposite effect. The limelight grew, but playing time and confidence dwindled in difficult circumstances. The towering hulk of a midfielder had become a shell of his former self, unable to break through at Bayern or during a subsequent loan spell with English Premier League side Swansea. Happily, Bayern never lost faith in his abilities. Welcomed back into the bosom of Germany’s most successful club as something of a “project” for new head coach Niko Kovac, Sanches hit the reset button this past summer. As confidence grew, so did the performances in training, culminating in the latest phase of his restoration. "I'm delighted for Renato and for the team," Kovac said after the Benfica win. "I said yesterday that he was excellent in pre-season and it wouldn't be long before he plays. Today I told him he was playing, that I had faith in him and that I wanted him to keep it simple. I wanted him to score two, but he only managed one!" Joking aside, Sanches unquestionably put in his most complete performance yet in a Bayern shirt. A hive of energy and tidal wave of raw power, he ran almost seven miles. His passing - whilst not David Alaba-level in precision - nevertheless pushed the 90-per-cent mark. He instigated Robert Lewandowski's opening goal and was involved in the build-up to his own. Kovac's reputation as a world-class coach and motivational speaker goes before him - but he is not the only one rooting for Sanches. The sheer joy of seeing the Portuguese prodigy score was plain to see on the faces of each and every Bayern player - and fan - at the Estadio da Luz. Empathy, delight, relief and expectation fulfilled: a collective ‘finally the dam has been broken’. "I've never experienced something like that when the opposition fans stood to applaud Sanches' goal," Bayern's Joshua Kimmich remarked. "He hasn't had it easy, so hats off to him. To come here and play like that was great. I hope it continues."